Good morning, CardMonkey Fans, and welcome to our February Art Philosophy/Artiste Blog Hop! Our theme this month features not only one of these two amazing cartridges but also a brand NEW paper pack from Close to My Heart called "For Always". In this hop, you will see projects featuring one (or both!) of our versatile Cricut cartridges using this paper pack from many talented crafty ladies. Enjoy our blog hop! HOPPERS' NOTE: If you have just hopped onto my blog, please start at the beginning at Lucy's blog – Love 2 Create. If you came from Michelle's "My Flights of Fancy" blog, then you are in the right place. 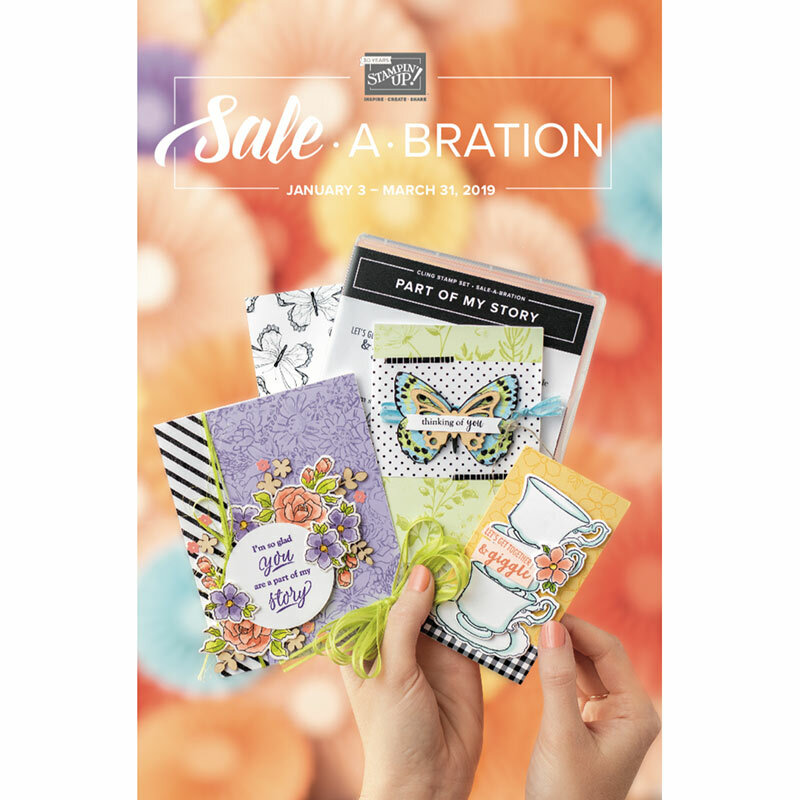 As my followers know, I recently re-upped with a renewed commitment (and time) to dedicate to these beautiful Close to My Heart products and consulting on how to use them to enhance your scrapbooking and cardmaking. Aren't these CTMH "For Always" papers gorgeous??! To order your paper pack of "For Always", CLICK HERE. 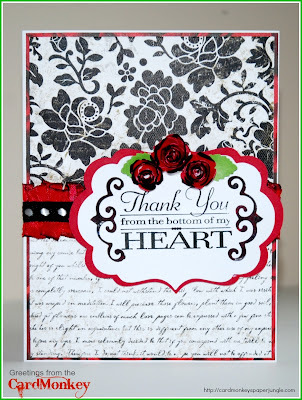 To make this 5x7" card, I affixed my CTMH papers to a mat of Recollections black and red roses paper. I then ruffled sewed together laterally two pieces of Lovebug Creations' Rumple Ribbon (in Chocolate Dipped Berries color), topping the 1" wide band with some black/white dotted ribbon I had on hand. I then created my label, cutting two layers using Art Philosophy -- the top in white using the label with flourishes, and the bottom in a solid and slightly larger label. I stamped the sentiment using a CTMH stamp from the Avonlea Workshops on the Go kit. Then, I again turned to Art Philosophy to cut the rolled roses in small sizes (1", 1.5"). Before removing the cuts from the mat, I tipped the edges of the red paper using a Copic Marker (T10), to coordinate with the Rumple Ribbon. I pop-dotted the label over the ribbon and mounted it to a CTMH Daisy White pre-made card. If you order your Art Philosophy and/or Artiste cartridge now, you'll be eligible to receive this month's "Home Sweet Home" Stamp of the Month for just an additional $5.00. That's a $17.95 value, for just $5.00. 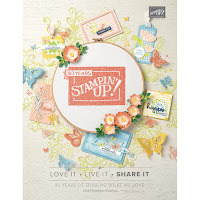 Look at the sweet projects you can make with this stamp set, shown in the photo above. HERE IS A LINK to purchase the Cricut/CTMH Collections from my CTMH site. I truly would appreciate your business! Now, moving on through the hop, your next stop is the fantastic MELISSA at "My Watermelon Moon." I love the pop of color in your card, it really is a lovely card. Always bautiful cards you craft. Wow, 140 cartridges! How ever do you choose which one to use? amazing.